Shivapuri Peak is situated in the north of Kathmandu valley. It is the nearest national park from Kathmandu and encompasses two seperate forest patches viz. Shivapuri and Nagarjuna. The elevation ranges from 1350m to 2732m at Shivapuri Peak. Presently, Shivapuri National Park covers an area of 159 square kilometers. The park lies in the transition zone between sub-tropical to temperate regions. There are more than 1250 species of flora. Corresponding to rich floral diversity, Shivapuri National Park supports rich faunal diversity with a number of protected, threatened and endemic species. It is an abode of a wide range of vertebrates. The park is an excellent destination for viewing jungles, orchids, butterflies, birds, pines as well as a wide variety of medicinal and herbal plants. Trekking is the most common attraction for visitors and tourists. Impressive views of the high Himalayas towards the North, Nagarkot towards the East, Nagarjun towards the West and Kathmandu valley, Phulchowki, Chandragiri towards the South can be seen from the Shivapuri Peak. Trekking routes to Langtang National Park (Gosaikunda, Helambu) and Nagarkot also pass through the Shivapuri peak. 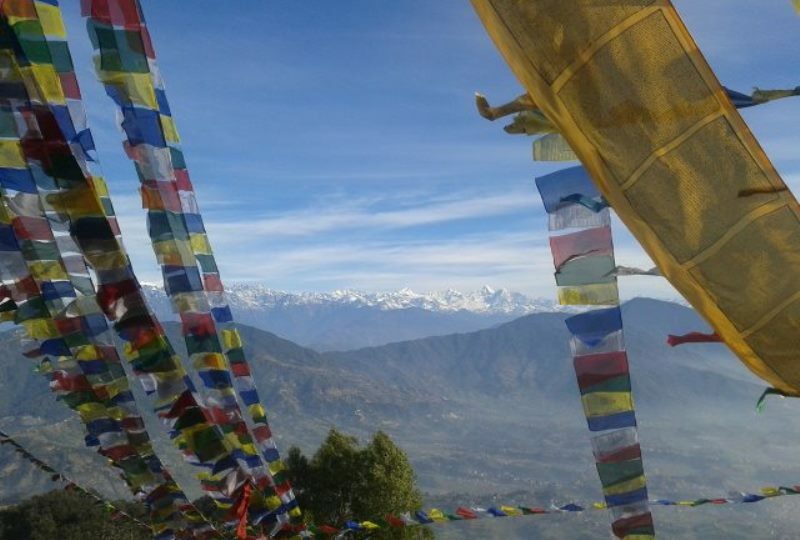 1 Day: Trek up to Shivapuri Hill, enjoy the mountain views and hike back down to Kathmandu. After breakfast a guide will come to pick you up at your hotel and drive with you to the entrance of Shivapuri National Park. After paying the entrance fee your hike will start. You will walk through wild forest and climb up many stairs until you reach Shivapuri Peak. From there you can enjoy the great views of the Himalayas and eat your pack lunch. From Shivapuri Peak you get impressive views of the high Himalayas towards the North, Nagarkot towards the East, Nagarjun towards the West and Kathmandu valley, Phulchowki, Chandragiri towards the South. It is perfect for a one day trip, to have good views of the Himalaya.